What is the purpose of the Nomalys mobile app ? Whatever field you work in, your sales team needs to be able access your customer and product data quickly and simply in order to be efficient. Knowing that sales reps spend at least 50% of their time on the road, this information has to be available on any mobile device (tablet and smartphone). Nomalys, is a turnkey mobile application with helps improve leverage of your data regarding customers and leads. Our mission is to help your sales people generate more business. 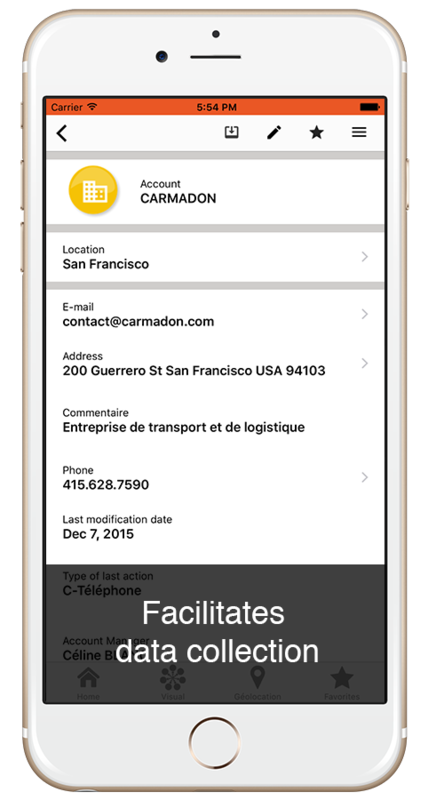 Our mobile app interconnects your business software (CRM, ERP, DMS…) to your mobile devices (smartphones, tablets, PC) in just a few clicks. The unique and intuitive GUI gives endless access to customer/prospect data, which can be enriched real time by the sales team in the field. The aim is to improve their knowledge of the customer base and optimize prospection. What are the advantages for your company ? 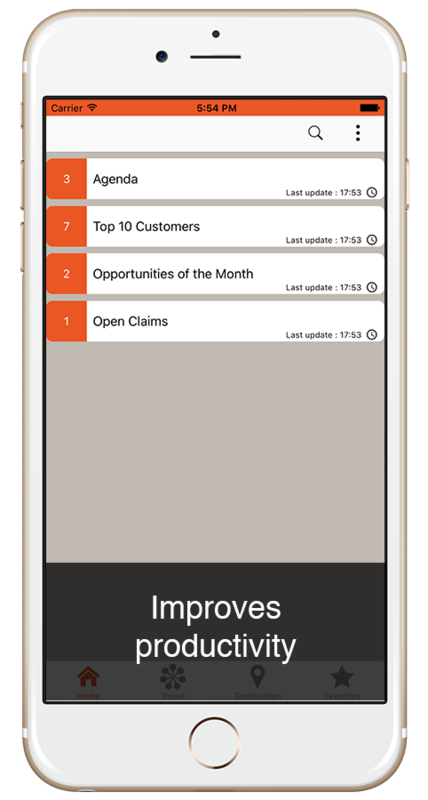 Thanks to the Nomalys mobile app, your sales team can see all your company’s customer and product data at a glance (accounts, contacts, reports, products, stock, pricing). Being better informed and more responsive helps your sales team to be more efficient and productive. They will optimize their visits and improve the relationship with their customers to ultimately generate more business and more revenues for your company. Data that is enhanced, appreciated and consumed ! Nomalys is simple to implement. 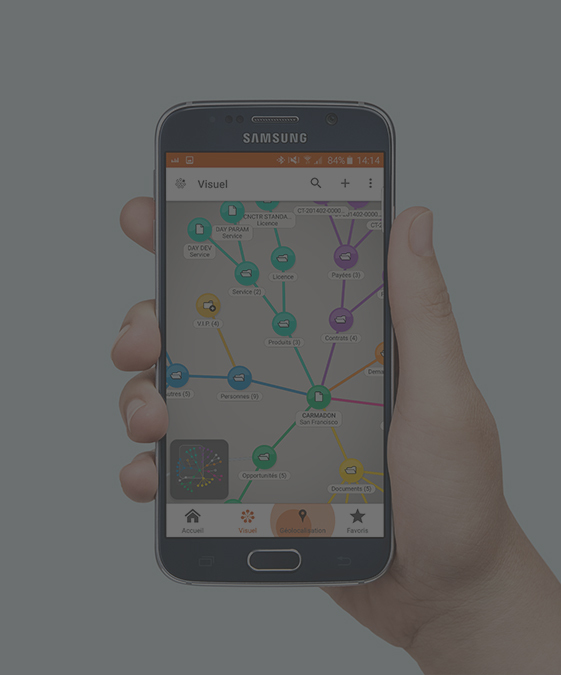 CREATE YOUR MOBILE APP ! The intuitive and 360-degree interface streamlines access to your customer data. Increases the quality and quantity of data entered in your CRM by the sales team in the field. The dashboard feature helps the sales reps to achieve their targets by focusing on priorities. Sales reps can stay calm and confident knowing they can access the data and interact with customers anytime and anywhere using the offline mode. 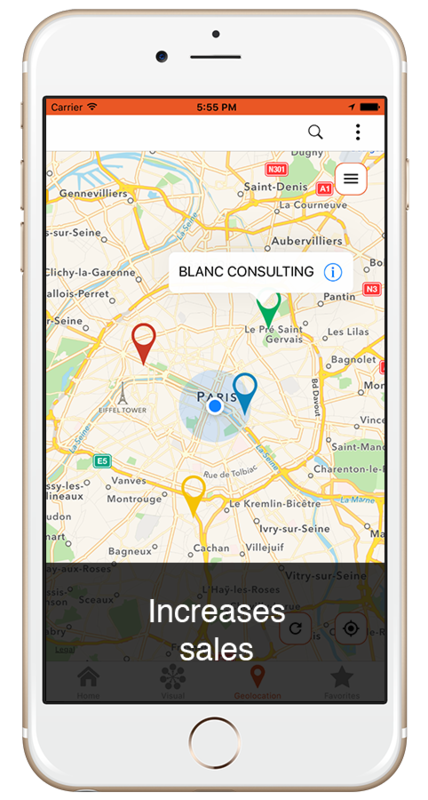 Thanks to the intelligent geolocation, sales reps on the road can prospect and increase sales wherever they are. 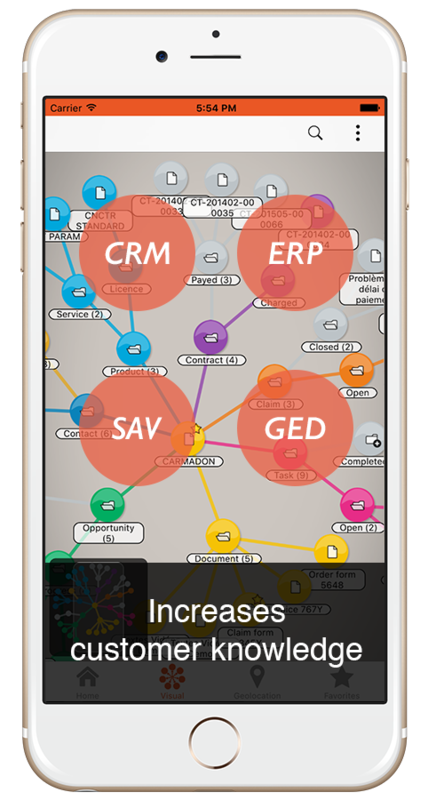 The multi data source feature helps to boost your sales by freeing and streamlining access to all the customer data.